315. I remember the Gang Show. 316. I remember Tonto’s Expanding Head Band. 317. I remember The Flashing Blade, with its thinly-defended but endlessly besieged castle and its thrilling theme song (“You’ve got to fight for what you want for all that you believe / It’s right to fight for what we want to live the way we please / As long as we have done our best then no-one can do more / And life and love and happiness are well worth fighting for”). 318. I remember when a computer game was first exhibited at the Science Museum, and the large number of children it attracted. 319. I remember Lena Zavaroni. 320. I remember Bernie the Bolt. 321. I remember when we had a black-and-white TV set but our neighbours had colour. 323. I remember Hot Wheels. 324. I remember being given a summary of the start of the Count of Monte Cristo by my French teacher and being so exhilarated that I could wait to get out of the classroom and finish the book. And then read everything else by Alexandre Dumas. Which I then did. 325. I remember Going for a Song and trying hard to out-guess the expert in putting a price on the antiques on display. 327. I remember my first London show, which was a dramatisation of the Winnie the Pooh stories. I can just about recall wooden waves that moved to depict the flooding of Piglet’s home. 328. I remember Evonne Goolagong. 329. I remember Bob Beamon’s logic-defying world-record long jump on 1968. Did I really see it on television at the time? I’ve no idea. But I remember it. 330. I remember Marmite fritters. 331. I remember the television set having to warm up. 332. 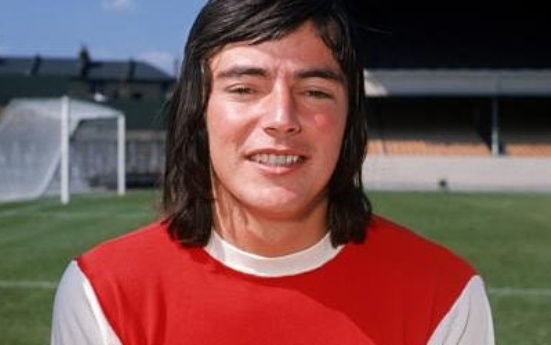 I remember Peter Marinello, Arsenal’s great hope who never was. 333. I remember Lesney the toy manufacturer. 334. I remember Disco 45 and earnestly reading the lyrics to every current pop song. 335. I remember the startling impact of the children’s animated series Mary, Mungo and Midge, which was set in a tower block (instead of the usual village, farm, woodland hideaway etc etc). 336. I remember Totopoly, a horse-racing board game, and that the name of one of the horses was Dorigen. 337. I remember George Chisholm. 338. I remember Panda Cola. 339. I remember How and its mock Native American theme music. 340. I remember having a penpal. 341. I remember that Multi-Coloured Swap Shop killed children’s Saturday morning cinema shows overnight. 342. I remember the Innes Book of Records. 343. I remember a school physical exercise when I was quite young, where we were told to curl ourselves up into a ball, and being hugely proud when I was congratulated for making myself so small. The memory has stayed with me ever since. 344. I remember half-day closing on Wednesdays. 345. I remember Stomu Yamashta. I’m going to have nightmares about the marmite fritters. I’m assuming you don’t have Marmite in the USA. Hard to describe, yet alone its use in homemade fried food, but it must have loomed large in my childhood since it turns up twice in these I Remember lists (so I’ve amended the earlier entry). Don’t think I could tackle one now. We don’t have it, but I have tasted it. It was horrid, but I’m sure I’m probably fond of many foods that would taste equally gawdawful to Brits. I mentioned peanut butter and jelly sandwiches once while at uni. The reaction looked like the audience at Springtime for Hitler.